The Chinese currency renminbi, or yuan, regained some posture during opening of markets on Monday after a slide to its lowest rate against the dollar since 2012. On Friday, it hit 6.25 before closing at 6.1576 to the dollar. 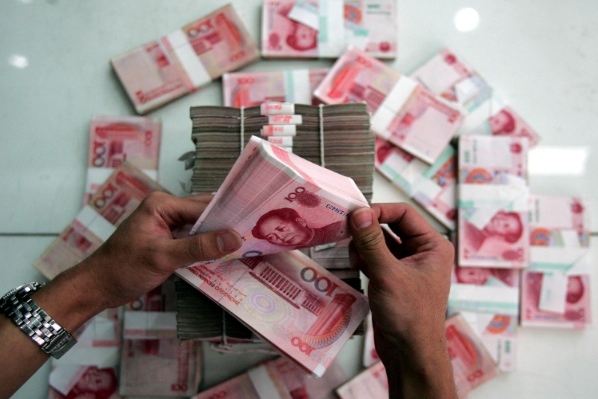 According to the China Foreign Exchange Trading System it gained 11 basis points on Monday to 6.1565. Although it has retreated by 3.3 per cent against the greenback since January 1, the weakening of the yuan signals greater employment opportunities in China because its exports are cheaper in the US and Europe. The 2 per cent rise and fall flexibility allowed by the central bank has made the yuan the fastest growing trade currency in the world. According to data released by Swift, which monitors global currency trade, the yuan is the second most used currency after the greenback in Europe. It’s little surprise that HSBC predicts a surge in the yuan’s trading power in international transactions. HSBC’s forecasts appear to confirm what financial experts around the world have been saying about the yuan. Last month, Philip Lowe, the Deputy Governor of the Reserve Bank of Australia (RBA), told delegates at the Centre for International Finance and Regulation (CIFR) conference in Sydney that the internationalization of China’ s currency could eventually transform global capital markets. He added that while China’s transition to a more flexible exchange rate will be gradual, it nevertheless carries with it the “potential to create a seismic shift in the international monetary and financial landscape”. “Over the past few years, the share of China’s international trade that is denominated in RMB [or yuan] has risen significantly and this trend is expected to continue,” he said. “We saw the latest step in this transition just last week when the daily trading range for the RMB against the US dollar was widened from 1 per cent to 2 per cent,” Lowe said. Beijing has made financial and economic reform a priority as it deals with a slowing economy.